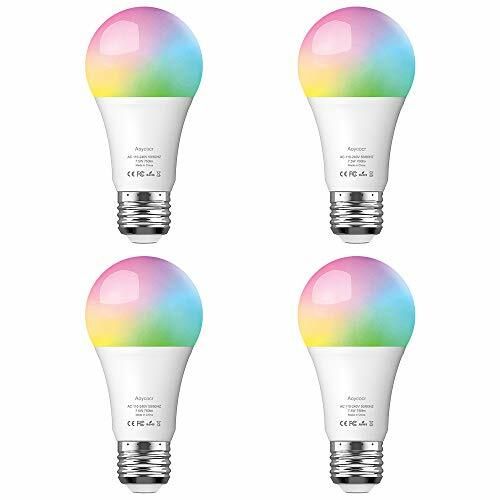 This smart bulb works with Wi-Fi or mobile network, controlled by APP on smart phone. The APP can be download by scanning the QR code on the package, or searching in app store. 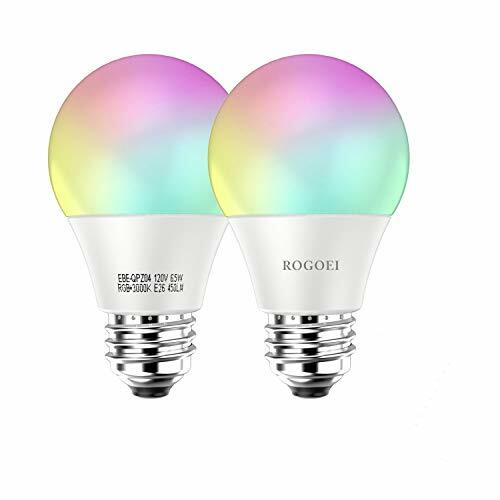 This smart LED bulb Compatible with Alexa and Google Assistant. You can turn on/off the Wi-Fi light, adjust the color temperature or brightness via your voice. You can create groups on the app to manage two or more smart light bulbs. Synchronous control will be realized through smart lamp group. Control this 5 watt (40w equivalent) bulb no matter where you are. Turn it on/off without leaving your bed or before going back home. No lead or mercury. No UV or IR. CE, RoHS, FCC compliant, created a healthy home space for your family. Perfect for indoor lighting, museum, restaurants, bar, cafe, living room, bedroom, holiday birthday party, etc. One year warranty. Make Your House Colorful — There are 8 modes and tons of color options(16 million). This smart LED light can emit Colorful & Daylight White(Warm White is not included) lighting. Such as, red, green, blue, orange, etc. Changing the color and adjusting the brightness via APP to create the right atmosphere to suit your mood. Wireless Control – Control by smart phone (Android 4.1 above or IOS 8.0 above), easily set the mood lighting you want. Do not need get off bed to turn it on/off. Make Your Life Smart — This WiFi bulb can be controlled by smart phone. It supports voice control(compatible with Amazon Alexa, Amazon show and Google Home), remote control, timer and group creating. It will bring great convenience to your life. Wide Application — This candelabra bulb is 5 watt (40w halogen lights equivalent), 450 lumens&colorful. 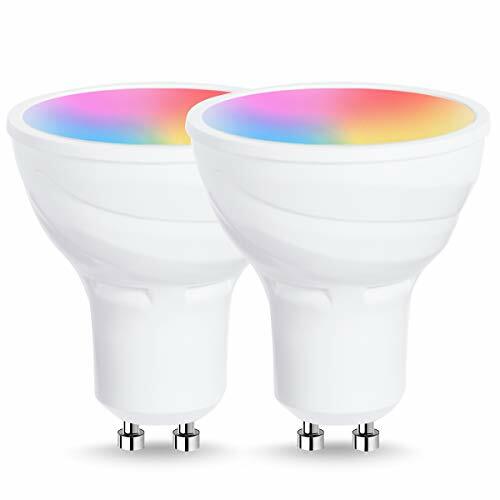 It can be used as home lighting and nigh lights for kitchen, bedroom, living room, bar, garage, cafe, office, hotel, etc. 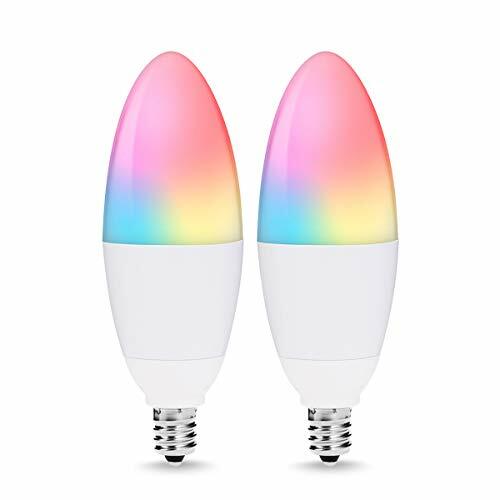 Safe&Reliable — The input voltage of this multicolored LED lights is from 110V to 240V, and it will reduce power usage up to 80%. CE, RoHS, FCC compliant. No lead or mercury. No UV or IR. Offer 12 months warranty.